Contrary to what you might have heard it's no walk in the park to be in high school these days. The world is a dangerous, uncertain and competitive place, and the added stress that comes with choosing a college can be overwhelming. Happily, there are options and strategies for students and their families to consider which path to take, including the traditional four-year route, two-year community colleges, and skills training that prepares young people for a variety of careers. Let's look at some pros and cons of each. Colleges and universities are ingrained into the American consciousness. The immigrant generation of some families often saw a college degree as confirmation that their offspring were fully integrated as Americans; for other families, it was simply maintaining a family tradition. But beyond being the dream (or expectation) many parents had for their children, a college degree has also been widely considered for decades to be the ante for any professional-track, white collar job. But is it really all that it's cracked up to be, particularly at the four-year level? Recent data suggests that Americans are increasingly skeptical about such degrees delivering enough return on investment. Last year, a poll by NBC News and the Wall Street Journal found that49 percent of Americans agreed a four-year degree was worth the cost because it helped one earn more over a lifetime. But 47 percent said it wasn't worth it, because people often graduate without specific, marketable job skills. A four-year college degree has its advantages. On the one hand, four-year institutions are still generally perceived as more prestigious—and therefore the education more valuable—to many employers. There are also networking and mentoring opportunities that come with the traditional college experience and those connections can be very valuable when trying to land a job. And the simple fact is, some job fields require a four-year degree to get in and get ahead, period. Two-year schools, meanwhile, have built their reputation on providing practical, marketable coursework that prepares a student for the working world. Two-year colleges also tend to offer skills training (what used to be called "the trades") in electrical, welding, truck driving, practical nursing and other highly sought-after fields. Two-year schools have traditionally suffered from a perceived lack of quality instruction and they generally don't have the money to spend that their four-year cousins do. Still, many two-year schools have found ways to provide innovative programs through partnerships in the community. What's more, they can generally adopt these programs faster than a big campus system. The cost of higher education has always been a serious consideration for most families, but the pace at which this cost has escalated in recent years is staggering. According to the National Center for Educational Statistics, annual total cost (tuition, fees, room and board) for a four-year public education has doubled since 2000 to just under $20,000 for the 2015-2016 school year. Four-year private schools, while growing at a slower rate, are also steep and averaged almost $40,000 in the 2015-2016 academic year. The cost of a two-year college education also rose sharply—more than double over the same period, in fact—but because that's still half of what four-year colleges charge it looks good by comparison. And, obviously, a two-year degree takes half as long as a four-year education, representing another area of savings. One trend that takes the equation a step further is for students to take college courses while still in high school. 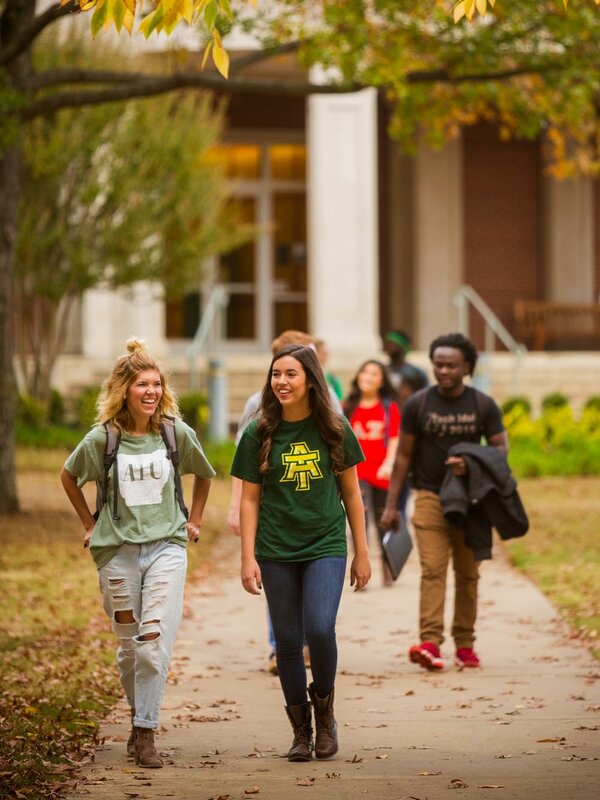 Several of Arkansas's community colleges offer programs that allow high schoolers to take college coursework at greatly reduced or no cost. For those who fully leverage this option, typically offered to juniors and seniors, some are graduating with two-year associates degrees at the same time they receive their high school diploma, while saving a bundle in the process. The two most important initial pieces of paperwork are the school's application and the Free Application for Federal Student Aid (FAFSA). The FAFSA (https://fafsa.ed.gov/) is a document that looks at a household's financial resources to determine eligibility for various government loan and grant programs. Complete this form first; not only is it lengthy, but every college application you do will require you to link your FAFSA to it. Colleges will use the FAFSA to determine if you qualify for additional financial aid through the institution itself. The college application can also be lengthy and is often the first impression the admissions department has of the student, so take it seriously. Some applications require an essay and some even require a live interview; prepare for these components carefully, just as you would an important term paper or job interview. The timing of application is as much an art as a science. Some schools will offer preferential consideration for early commitment and in some cases waiting too long can cost you financial aid. However, committing too early could leave less room for the student to reconsider. In almost every case, college applications come with a fee, so be reasonably sure your student is interested in the school before filling it out. A big part of the discussion about what to do after high school should focus on the outcome, that is, what professional prospects exist for a person with the requisite skills, including pay, job market and potential for future growth. Once a student can focus on where they're going, it becomes much easier to figure out what they need to do to get there. In Arkansas, the most in-demand jobs may surprise you. According to zippia.com, the ten fastest-growing jobs in the state include eight in the health care field (including physical therapist, medical assistant, nurse practitioner) and working in the service industry (restaurant, hospitality and so on). The list's other occupation, CNC machine operator, falls into the skilled labor category, which as a group presents arguably the biggest opportunity and has the greatest need for people of any other sector in the state. In fact, the Arkansas Economic Development Commission (AEDC) has identified jobs within Targeted Industry Sectors as those the state is making a concerted effort to recruit new people to, especially young people. Arkansas isn't alone is its need for such workers; the shortage for these and other skilled positions is rampant nationwide. Sectors include distribution and logistics services (such as trucking and transportation); paper and timber production (positions both in the field and in high-tech processing plants) and steel production (with various manufacturing roles). Many jobs in these targeted sectors require specific skillsets, such as plumbers, pipefitters, machinists, technicians, heavy equipment operators and industrial maintenance workers. The advantage of these skills is students can gain a working proficiency in two years or less. More than that, in some cases, training and apprenticeships are paid for by an employer. Here's how it works: Let's say a high school graduate is hired on by a commercial electrical company to be an electrician, regardless of technical experience. The new hire learns the trade through a combination of on-the-job training under the supervision of a veteran and one to two nights per week of apprenticeship classes at a trade school or through a local union, for up to four years. The employer typically picks up the cost for that training. The best part is that incremental pay bumps can happen as frequently as every six months, given satisfactory work performance, good grades or both. And, once completed, tradespeople earn top dollar. Median starting pay for an electrician is over $40,000 per year; for plumbers, it's $37,000 and for welders, it's $35,000, although high demand is driving those figures up in many areas around the state. With so many options in two- and four-year colleges and technical training programs, a student must have a game plan to make the right decision. Savvy asked Katie Young, UA Little Rock director of admissions for her best tips for discovering your dream school. A campus visit is required to make an informed decision. Young also said the most informed campus visit includes a talk with admissions staff who should be able to answer all your questions. It should also include a campus tour, ideally led by a current student who can tell you what it's like to attend that school. And finally, speak with a member of the faculty in the area you're considering. There is such a thing as too many campus visits; after a while, everything looks the same and fatigue starts to wear on everybody. Visiting 10, 15 or more colleges wastes your time and costs you money. Young suggested research to narrow down the field to a maximum of about four or five schools to tour. There are a number of shortcuts that can help the process. For instance, college fairs are a good way to sample a number of schools in the space of a high school gym. 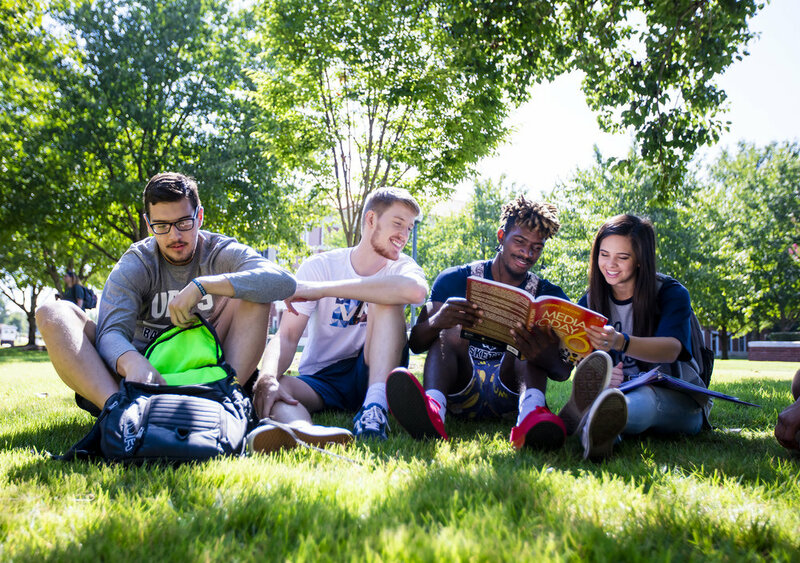 You should also pay attention to "come and see" weekends held at many schools, a campus-wide open house specifically for prospective students. And, application fees are often waived during such events as an incentive to generate applications. As you go along, you will probably notice that many colleges look and sound alike from a curriculum and facilities standpoint. What separates them is the environment, or "feel" of the place, something Young said is often overlooked. Trusting one's gut and going where one feels they fit in is one of the best-kept secrets of college success.